In this episode, Dr. Hackie Reitman speaks with Dr. Marcia Ratner, world-leading neurotoxicologist and research scientist at the Boston University School of Medicine. (24 minutes) Marcia’s research focus is neurotoxicants, chemicals that can cause brain damage. Marcia is also a project manager for the Department of Pharmacology & Experimental Therapeutics at Boston University, and she also provides neurotoxicology-related consulting services resulting in major court decisions and policy change involving neurotoxicants. 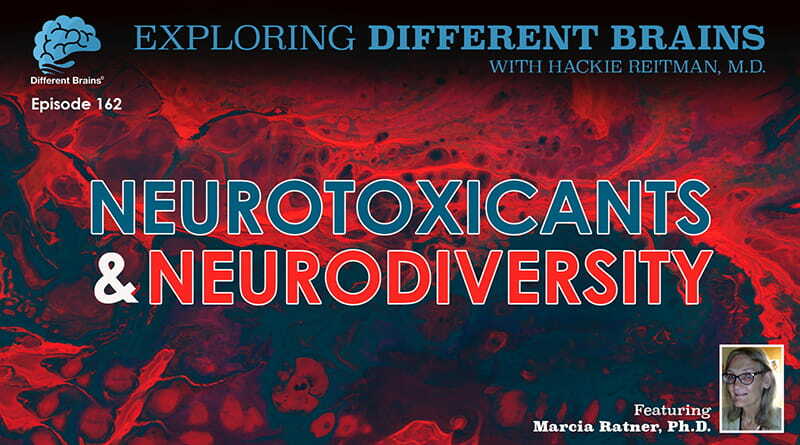 Join Hackie and Marcia as they explore the ABC’s of neurotoxicology, the prevalence of neurotoxicants in our everyday lives, their effects on the human body, steps you can take to protect yourself, and the links between neurotoxicology and neurodiversity. 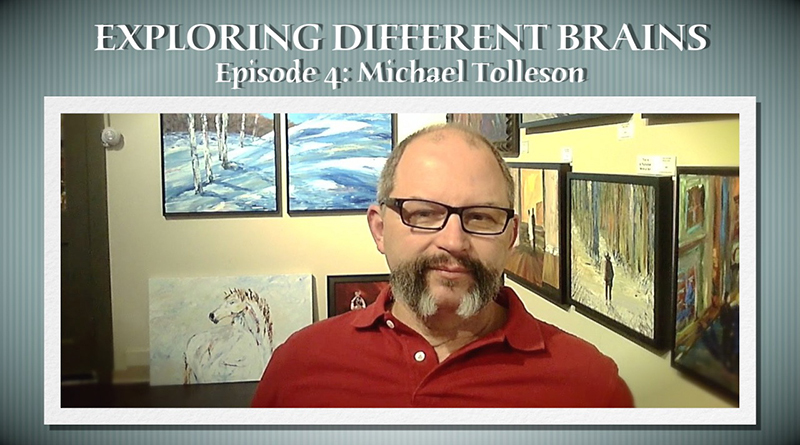 For Marcia’s Different Brains blogs, click here. HACKIE REITMAN, M.D. (HR): Hi, I’m Dr. Hackie Reitman, welcome to another episode of Exploring Different Brains, and I’ve been waiting for this interview for a long time. From my Alma Mater Boston University School of Medicine, we have the great privilege of having on this edition of Exploring Different Brains, Dr. Marcia Ratner, who is a Neurotoxicologist, and she’s got so many degrees, and so many honors, I don’t even know where to begin except to say that she is a blogger for different brains.org; but that’s the least of it. Marcia, welcome to differentbrains.org! MARCIA RATNER, Ph.D. (MR): Hi Hackie! It’s a pleasure to be with you. HR: let’s have you introduce yourself to our audience much better than I did. Let’s hear it! MR: That was pretty good! As you said, I’m a Neurotoxicologist, that means I’m someone who studies the effects of chemicals on the nervous system in humans and also in animals, and my training was here at Boston University School of Medicine in the department of Neurology where I trained with the late Robert Feldman, who at that time was the chairman of Neurology who was also famous for working with the patients that gave rise to the film and book “A Civil Action”, and Bob was a famous Neurotoxicologist, and he trained me, and when he passed away, I took over the role of the Neurotoxicologist here at Boston University School of Medicine. HR: Well, I was so honored to be a student of Dr. Feldman, when I was in medical school there, and he used to tell me I shouldn’t be boxing because my first year of medical school I won the heavyweight Golden Gloves up in Lowe there and he said, “Hackie you shouldn’t be getting hit in the head like that”, but I did, and he was a brilliant, brilliant man who did a lot for a lot of people. He was one of your best mentors, wasn’t he? MR: He was my #1 mentor, I’d say I learned almost everything I know from him about Parkinson’s disease, neurodegenerative diseases in general, and of course particularly neurotoxicants. When I was in school with Bob, I actually- can I hold up a book? MR: When I was in school with Bob, Bob wrote this book, “Occupational Environmental Neurotoxicology”, and I helped him write the book as a graduate student, and so that really was the core of my training in going through the literature and becoming familiar with Neurotoxicology with my involvement with that. HR: Give us the ABCs of neurotoxicology as it affects us, John Q public. MR: That’s a good question. So, neurotoxicants, the word is a combination of the word ‘neuro’ and ‘toxicants’, and so these are chemicals, as we said, that are going to get into the body, and once they enter the body, if they’re small enough, they can get into the brain where they can raise havoc, and they can do many things. They can kill brain cells, they can cause brain cells to not function properly, and depending on when the exposure occurs, whether it’s someone who’s young or old, and for how long it occurs, short or long periods of time, the effects can be very profound to minor and reversible. HR: And no matter what we do, we’re coming across these neurotoxicants in our everyday life. MR: Everyday, we encounter chemicals in the workplace; the environment, in our foods, and of course in our medications, and in fact, the most famous Toxicologist ever was Paracelsus, and Paracelsus is famous for saying, “There is none which is not a poison, the difference between a poison and a therapeutic is dose.” and that is the gist of the balance between using chemicals safely when we need them, and avoiding exposure levels that can make us sick. HR: Now you mention, this can affect you in childhood or in old age; why don’t you take us through some of the age differences if you might, just in a general way for us. MR: Sure! So, when we’re children, our body is obviously not developed, and as we’re developing from being in utero, before we’re born, to childhood into adulthood, our brains are developing, and during this time, cells have to find their ultimate location in the structure of the brain, and some aspects of our bodies are not fully developed until we’re 20 or- nervous system is not fully developed until we’re almost in our late 20’s or early 30s. So as the brain is developing, in the earliest stages, before were born, through early stages of childhood, the blood-brain barrier which is the protective coding that keeps toxins out is not fully formed, and so if we’re exposed to chemicals when we’re children, those chemicals can easily get into the brain, and cause a lot of trouble. And as we get older, the blood-brain barrier forms and grows, and becomes sealed and now the chemicals can’t get in there as easily. Which is a good thing- it protects us from chemicals as adults, but during development, we’re particularly vulnerable to chemicals. 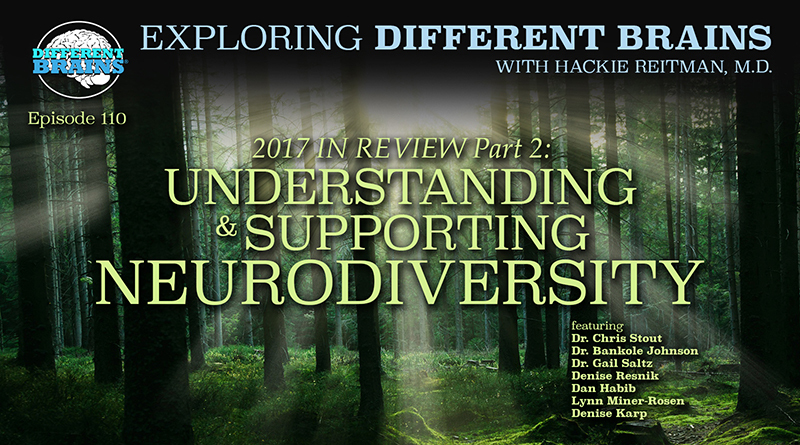 HR: From your unique perspective, can you talk about the relationship between neurodiversity and neurotoxicants? MR: Oh yes, that’s a big one. So, topically one of the most studied, and saddest, examples of neurodiversity and neurotoxicology happened in Inamada Japan many many years ago with Mercury. Mercury had gotten into the environment, and when Mercury released from old Dental amalgams, it gets into the environment, it gets meccalated, and becomes an organic form of Mercury, and this Mercury is more easy for this Mercury to get into the brain, and it’s more toxic. And so if you’re exposed to Methyl-Mercury in utero during development, the brain, like I said, is developing, it’s very vulnerable, and this is when we see neurodiversity that persists from the time the child was exposed well into the rest of their life. 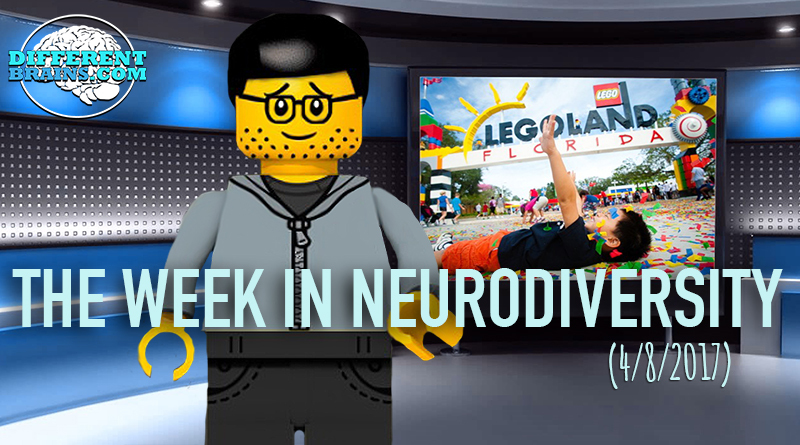 It can be vision problems, motor function problems, very very severe; so another area of neurodiversity we worry about is developing children exposed to led. So led in old buildings- there’s led paint on the walls, children tend to eat paint chips and get Pica and ingest, or there’s construction going on in the building and now the old paint is being sanded or refinished. This kicks up dust, the children breathe it in, and led level can go up, and this could cause- led can cause neurodiversity if the led exposure is high enough. Fortunately we don’t see this too often anymore, it can cause a severe form of damage to the brain that can really leave a child with permanent neurological problems, and so exposure to chemicals during this developmental window which is really really important to avoid. HR: Which is a Segue into, are you in a position to give us any comments on a place like Flint Michigan? MR: yeah, we don’t know yet what’s gonna happen. you know, there’s certainly a big concern with the spills and these kinds of things going on there’s a lot of concern about what’s going to- what we’re going to see in Flint, and we know from past experiences what we might see emerge, right? And the data on that is still coming out, and it’s – we’re gonna see how that plays out. I think fortunately I haven’t heard of any severe exposures yet, resulting in any deaths or anything like that. But certainly it’s a big cause for concern, and this is why we have the EPA, why we have the FDA, why we control what goes into the ground water, into our rivers and lakes, and ultimately into our bodies, and if we can contain these spills, avoid these kinds of things, we can really minimize these risks. MR: So, the same principles apply. So for an adult, eating fish with the bioaccumulated levels of mercury that can occur is really not a problem, because our blood brain barriers are fully formed, so the mercury has a hard time causing any trouble to an adult. But for children who are still developing, would probably want to be thinking about what the source of that fish is, and what levels of contamination it might have. Of course most studies show that the benefits of eating a healthy diet with respect to Mercury, pesticides, all of these things, generally outweigh the risks. You know, when you consider going back 50-100 years ago, before refrigeration, before we could get all these foods that we have access to today, and you look at life expectancy and you look at morbidity and mortality; in a lot of ways we’re eating healthier safer foods today, we don’t have the contamination with bacteria, we have access to clean water; especially in the United States. We shouldn’t be too alarmed, particularly as adults, but with children, it’s always a good idea to be a little more careful with respect to where you’re sourcing your foods. HR: Overall, how do we protect ourselves from unnecessary exposure to neurotoxicants? MR: That begins with good hygiene, and that means if you’re doing any sanding or working with old lead paint, you’re gonna want to wear a mask, you’re gonna want to wear gloves, and you’re going to want to maybe wet the surface down so that the dust stays down and doesn’t spread all over, and then cleaning things up, you need to be careful. There are terrible stories of people who tried to vacuum up Mercury that has spilled from a broken thermometer, and what they’ve done is their vacuum cleaner – this was mostly in the days before HEPA filters and some of the vacuums that we have now, but the vacuum cleaner actually vaporized the mercury, put it in the air, and exposed everyone who was in the room where as had they swept up the mercury with a dust pan into little balls of mercury, they would not have caused as much of a problem so there are a lot of things we can do from the hygiene standpoint to reduce exposure: Masks, gloves, coveralls, and also when we’re cleaning things up we want to think about the consequences of vacuuming versus sweeping and creating more dust or vaporizing a chemical and can be breathed in that way. HR: Tell us a bit about your exciting work where you’ve helped so many through the Michael J Fox Foundation. HR: Oh you’re the champion Marcia! MR: Well, we all are. Because – and so are you Hackie, you know, but what’s impressive to me about the parkinson’s Community is because they are pretty mobile and able to work on their own behalf – they go down and advocate for themselves, and I’m a big proponent of self-advocacy, because the people that are living with neurodiversity really are the ones who can best explain what they need, what they need as far as research, as far as medications as far as assistance, to help improve the quality of their lives, and it’s really great to see people out there advocating for themselves, so it’s always a pleasure to work with that population. HR: I would say well you know my father died of Alzheimers and parkinsonism, and we had a gas station in Jersey City, and he was the mechanic; my mother pumped gas, and back then we didn’t even have a lift in the 1950s to put the car up, so my father, when I was like 6 years old, I used to back up the car over the pit, and he would stand in the pit with his – up to his ankles in oil and other solvents down there to and change the oil and everything and that was a constant diet of that, constantly. So I can’t help but think about the science of neurotoxicants and what a service you’re doing at this point, for all of us, with all that you’re doing. MR: Well, you know it’s a group effort. The EPA and OSHA have reduced and changed a lot of those exposures, right, and those pits also accumulated gases like carbon monoxide, and other chemicals down in those pits while the car is running. So these were very dangerous settings. One of the patients that I saw with Bob when he was alive, was a painter who would paint in enclosed spaces, with no respirator, no ventilation; and those were in the days when the paints contained Toluene and other solvents, and they would be breathing in these paints until they became intoxicated from breathing in the fumes. And by the time he was in his late 40s early 50s, he had severe cognitive problems, which stayed with him for the rest of this life; he never developed Alzheimer’s disease, but the cognitive deficits that he developed from years and years of exposure to the contaminants and the solvents and the paints were, you know, very very very very bad, and so fortunately we don’t allow that anymore, we’ve changed those policies. But if you go outside of the United States, if you go to these developing countries, a lot of those policies are not yet in place, so a lot of the poisonings we used to see here in the US we now see in Korea, in China, and other developing countries where industry is booming, and people are working in mines, and they’re working in industry, and this is where we’re seeing the most of the profound toxicant effects today, where the regulations that we have here don’t exist yet. HR: You know, one of our board members at Different Brains is Nick Dchristifaro whose been my friend since he was at MIT and I was at BU you know, 50 years ago. But Nick is now the director of Technology for Silidia Tech, which makes green cement and goes all around the world and he’s got some people pulling for him like, you know, Warren Buffett, Mark Zuckerberg, want to see him make this green concrete and cement which until I spoke to Nick about it, I did not realize, that was the most ubiquitous thing in our whole universe here, where everything is made out of cement and concrete. Talk about the neurotoxicants in concrete and cement. MR: So, cements and grouts contain different kinds of chemicals, these can range from silica, which of course can cause lung problems; to metals, and to the constituents of polymers. For example, one of the most widely used grouts- it’s not a cement per-se, it’s a grout, acrylamide grout, and acrylamide is very toxic- it causes damage to the peripheral nervous system. These are the nerves that go from the spinal cord out to our tips of our fingers and the tips of our toes. these kinds of grout acrylamide, can cause the nerves to die, and people can develop weakness in their hands, weakness in their lower extremities, in their feet, and walking problems, weight problems- the constituents of these cements and these grouts contain polymers, and these polymers need to bind to each other and to do that they form a chemical structure that allows them to link, and that reaction can also lead to them interacting with the immune system, with the nervous system, where they can raise all kinds of trouble, and minimizing exposure to breathing in the dust of unfixed, or the not yet polymerized cement is very very important. So a mask, reducing intake of these chemicals is very important. HR: I’m just learning so much, and I’m sure our audience is gonna to want to learn more about you. How did they learn more about you? MR: Well they can go to my website, at neurotoxicants.com where they’ll find a lot of information on chemicals that affect the adult nervous system that impact neurodiversity in adults, whether it’s Alzheimer’s, Lou Gehrig’s Disease or ALS, or Parkinson’s, and that’s where you can find me and find out more about this topic, and I’m available to – I offer pro-bono consultations once a week, usually on Thursday evenings, I set aside an hour or two for pro-bono consults where I’ll give my thoughts to anyone who wants to give me a ring or shoot me an email and so I’m easy to reach, easy to find and very willing to be available, affable to anyone who needs my help. HR: How cool you are one of my heroes Marcia, let me tell you. That is great. Is there anything else you’d like to discuss, that we didn’t get to today? MR: Like I say, there’s a lot to know about chemicals, and we don’t know everything, and as I said in your blog, the best thing to do because there’s new chemicals being made everyday; the best thing to do is whenever we’re using something we’re not sure of, we don’t know what it is, wear a pair of gloves. You know, you can buy these nitrile gloves in any Home Depot store, I think you can now get them in a grocery store, or an auto parts store- wear gloves, wear a disposable mask if you’re sanding old paint or doing anything that could kick up dust that might contain lead, or if you using a spray paint that might contain solvents, wear a mask- do it in a well ventilated space, minimize your exposure, and by all means, when it comes to your children, look at the labels. See what’s in the food, see what’s in the product, buy products from reliable sources where you know where they’re being made and the constituents are, and that’s really all we can do. Because chemicals are ubiquitous, so we have to live, not scared, but put precautions and take proper care to make sure we use chemicals safe. HR: Dr. Marcia Ratner from Boston university, from neurotoxicants.com, thank you so much for being our guest on this edition of Exploring Different Brains, and I’m sure we’re gonna have you back soon at different brains.org. Thank you so much!